I have yet to meet someone that rolls out of bed with perfect hair. If I ever did meet this person, I doubt we would be friends (I’d be too jealous). 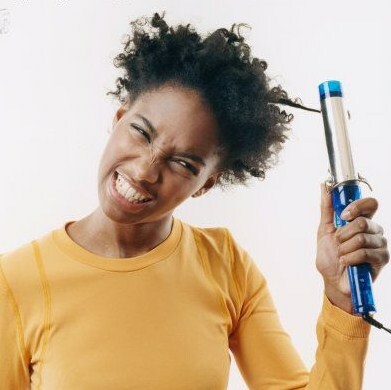 Most of us have to do a fair share of blowing, brushing, spraying and straightening to get the perfect style we want. And although we have great photos of ourselves as a result, we also have dry, brittle hair from all the torture we put our hair through. But hair stylist Anna Jackson, who works at the Maxine Salon in Chicago, says there can be a compromise when it comes to having hair that’s both healthy and styled, as long as you follow these rules. 1. Don’t style hair with heat every day. 2. Choose the correct size of tool. 3. Keep the curling iron away from your bangs. 4. Always use professional tools. 5. Apply heat protection before styling.